See more Melissa Odabash Monokinis and one-piece swimsuits. We check over 450 stores daily and we last saw this product for $119 at Beach Cafe. F E L L A. 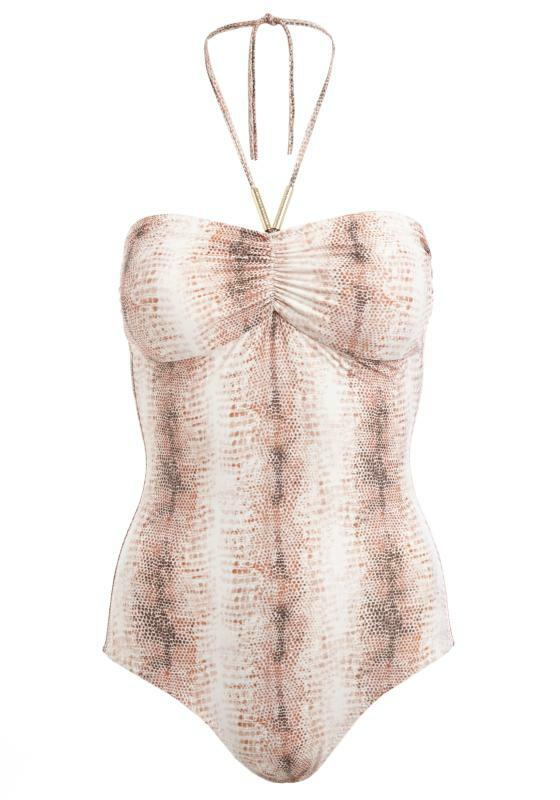 Make a style statement in the snake print Calabria Swimsuit by swimwear designer Melissa Odabash. 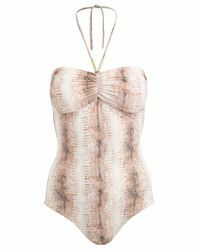 In a pale python print, this bandeau style swimsuit features an optional halterneck with gold bar detail, along with a hidden shelf bra and ruched centre for shape and support.